When I hear about folks that fly 150,000+ miles every year, I realize that I am low-man-on-the-totem-pole when it comes to being a “frequent flyer.” I find myself in the seat of an airplane about once every six weeks or so. 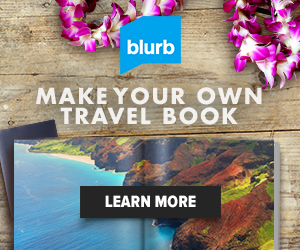 Even so, over the years, I have tried to streamline my travel preparation and packing routines to make travel easier. Plus, on multiple occasions in the past 18 months, I’ve had to pack in a very short amount of time due to one family emergency or another. So, one packing-related element I have been streamlining over the past few years is the way I pack my cosmetic and toiletry bags. In the past, for cosmetics, such as foundation, primer, and lipstick, I used to just pack my full size bottles, since all of my bottles were 3.4 ounces or smaller, and all of them fit inside the standard quart-size baggie as mandated by TSA. For shower-related toiletries, I used to use small “trial” size bottles of things like shampoo and conditioner. These also fit in my quart-size baggie. On the morning of any travel day, as I would do my makeup, I’d just put liquid cosmetics in a quart baggie, and the rest of my cosmetics (including brushes), in a separate cosmetic bag. I’d put those two things in my carry-on and I’d be on my way. There were three things that made me reconsider my cosmetic and toiletry packing technique. The desire to pack less weight and volume. Although an individual glass bottle of foundation or a bottle of moisturizer doesn’t weigh much, put together it does add up in both size and the volume it takes up in my bag. 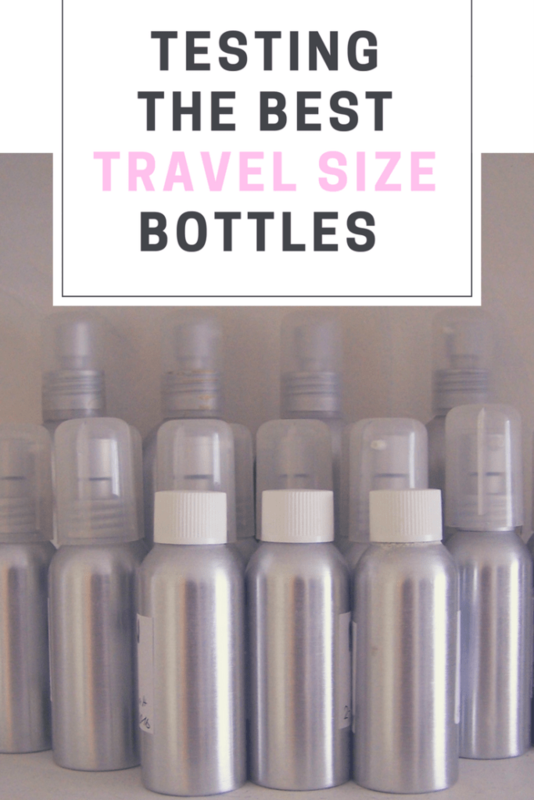 Even normal “trial” size bottles or other travel bottles were typically way too large for what I needed. My entire tube of moisturizer is 1.4 ounces. What on earth good does a 2 oz travel bottle do for that? The desire to have a “go bag” of cosmetics that I could just grab and throw in my suitcase, leaving my mirrored makeup table intact at home. 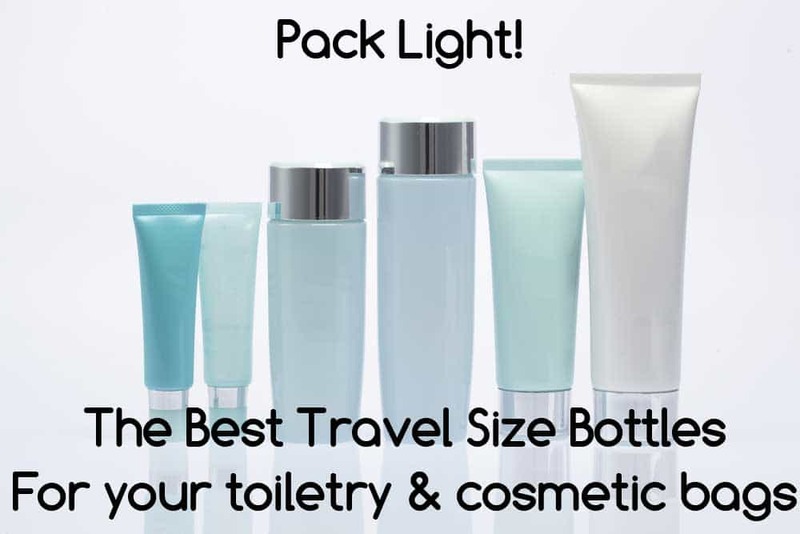 I had read that many frequent travelers just create a replica of their normal toiletries and keep one set ready to pack and the other set at home. But heck, it takes me 3 months to go through a single bottle of foundation. Having one dedicated $30 bottle of foundation for a trip every 4–6 weeks seemed kind of silly. Plus, that didn’t address my desire to pack less weight and volume. If I was buying a second set of all the same full size products, I’d still be packing the same amount of stuff. The longest vacation we go on these days is around two weeks. But more often, we’re just traveling for a week, or some sort of long weekend. If it takes me 3 months to go through 1 Fluid Ounce of foundation, imagine the tiny amount I’d need for just a week-long trip. So, here’s my current approach that fits both my criteria. Pump bottles. ** I filled three of these bottles about ¾ of the way full for my foundation, moisturizer, and primer. I was a little leary because they’re actually called “spray” bottles, and since I’m not using them for “spraying” anything, I was worried that they wouldn’t work with liquids as thick as moisturizer or foundation, but they work great! I used these for the first time on my two-week trip to Russia, and I still had plenty left in each bottle. Tiny 5 gram jars. In these, I put my liquid concealer, nighttime moisturizer, and eye cream. I use such a small amount of eye cream that even this tiny container is too big for what I need, but it still works great than my heavy, overly designed jar of eye cream. There are some things that just don’t make sense to put in it a separate container. Like this already very small (0.35 ounce) squeeze tube of eyeshadow primer. Plus, things like blush don’t really come in “travel” sizes. Although I have considered using these tutorials to how to fix a broken blush or eyeshadow, but just put it back in a smaller container for travel purposes. So, after using these products like the eyeshadow primer and blush for a while as part of my normal day-to-day routine, I actually stopped using them when they were about halfway empty, and then relegated them to my dedicated travel toiletry bag. Then I just bought new, full products to replace them with for my normal routine. That way I still have those products in my travel bag, but they’re not taking up as much weight as the full versions. 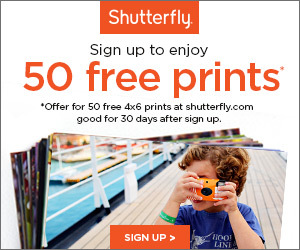 Too pricey for travel versions? There are a few things I haven’t figured out a good solution for to integrate into my ready-to-pack cosmetic and toiletry bags. For instance — makeup brushes. I love my makeup brushes. Only one problem, they’re pretty darn expensive, and I seem to have a mental block on buying an entire second set just to keep them in a travel cosmetic bag. I tried a smaller, less expensive travel size brush set, but I didn’t like the brushes nearly as much. Next are my eyeshadows. I own about 30 different eyeshadow colors, but usually don’t travel with any more than 10 or 12. But, at 11 bucks a pop, I am not in any hurry to have a dedicated “eyeshadow” travel kit either. So currently, the only two items I have to put in my cosmetic bag – Makeup brushes and eyeshadow. Hopefully I figure out a better way for these items in the near future. Separate from my cosmetics, I have a toiletry bag that I have for shower and washing-related things. Items like shampoo, conditioner, facial wash, and exfoliator. I only wash my hair twice a week, but I use a ton of shampoo and conditioner when I do. So I pack larger toiletry bottles. I used to use these GoToob bottles, but I thought that the opening was too large, allowing too much product to come out. I switched to another pump. I use these 1 oz Clear Cylinder Round Plastic Bottle, with the Pump Top. I used to pack liquid Dove soap (instead of a bar of soap), and that pump would’ve been perfect for liquid soap too. For other items I only need a tiny bit of, like exfoliator, I use these 8mL dropper bottles. The opening is super tiny, so you have a lot of control over how much product comes out. Plus, 8mL is so small (about a quarter ounce), you don’t have to worry about adding hardly any weight or space to your toiletry bag. That’s it. In the future, I’ll do a dedicated post on the rest of the items I keep in my toiletry and cosmetic bags. How do you store your cosmetics for travel? Do you have a dedicated kit? ** Don’t ever google the term “pump bottles.” All I got was an unwanted lesson in breastfeeding. This is super helpful! Have you found that the Nalgene dropper bottles would work for dispensing things like Vaseline or toothpaste? I think they would be fantastic for vaseline, but I’m not sure if they would work for toothpaste. I haven’t tried it, but I feel like the opening is so small that toothpaste might make it sticky and “glued” shut. If it doesn’t work though, it’s easy to clean them out and use it for something else.